Crypto offers massive benefits. It’s transparent, borderless, efficient and fast. I chatted to Peter Farla, a web designer who has recently used the crowdfunding potential of the blockchain. 1) So, who are you and what do you do? 2) What prompted you to issue a cryptostock for your business? Since the launch of the NXT platform the main focus has been on the tech: NXT Currency, Asset Exchange, Monetary System, Marketplace, Arbitrary Messaging, Alias System, … So many features and possibilities. Whilst the tech undoubtedly gives NXT a big potential advantage over competing platforms, it seems every time a new technological innovation is added to the NXT platform it actually results in a price drop. Why? Presumably because the platform, in all its ever-increasing functionality, is not intuitively easy to use, nor easy to explain. Let’s face it, it’s not for the average joe… At least not yet. This is where the Tennessee Project wants to step in and make a change. With all the focus on technological advancements, the marketing has been neglected resulting in a declining adoption rate and a gradual price drop. The project’s goal is to push NXT marketing and promotion to a professional level over the next 12 months while at the same time making it easier to use for the average joe. 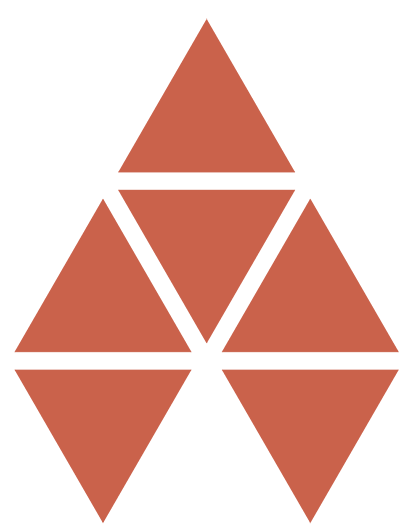 Not a small task to take on, but a great team has been assembled including, at its heart, Bas Wisselink (Damelon) and Dave Pearce (EvilDave), who will each receive a part-time salary on a self-employed basis, allowing them to work freely on Tennessee, in addition to their other tasks within the Nxt community. They will work closely together with NXT core developers Jean-Luc and Lyaffe. Several components of Tennessee will also require paid outside contractors. The Tennessee Project will be run under the banner of the Nxt Foundation. We have already started an informal fundraising project among NXT businesses and stakeholders to raise the minimum of 10 million NXT, and we are happy to say we have already received firm pledges for up to 5.5 million from Nxt investors and stake-holders. The funding will end on Monday October 26. If the target 10 million NXT is reached, all funds will be transferred to the Tennessee account. If it is not reached, all funds will be returned to the original accounts. This could mean a big boost for NXT from which the whole community would benefit, so every donation matters, no matter how small. 4.5 million NXT is still needed to meet the 10 million NXT target. This covers the salaries of both Damelon and EvilDave for a year and the budget to actually do the tasks. A major increase in and professionalisation of NXT marketing. To improve the Nxt user experience, in terms of ease of use, support and documentation. The acquisition of leads to incorporate NXT into real world applications/businesses and to attract investors to the platform. ● Completely overhaul www.nxt.org, and streamline the web presence/SEO for all community owned sites. ● Create a continuous and coherent marketing/PR campaign, putting the focus on what NXT has achieved so far, and on highlighting real world use cases for NXT. ● As part of the above 2 points: create a complete portfolio of use cases, media packs and other publicity material, to be used in all NXT marketing. ● Set up a co-ordinated team for social networking/forums. ● Create a coherent strategy to interest potential Nxt-based projects and investors who may be interested in utilising or investing in NXT/SuperNet. 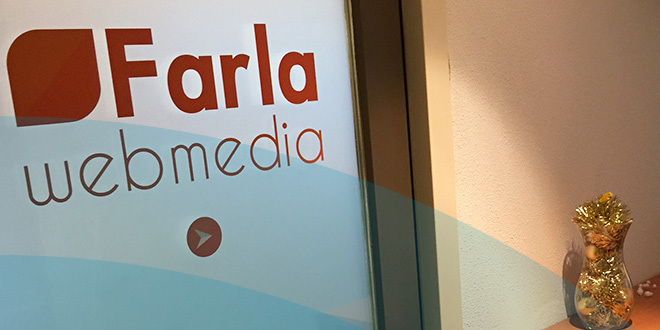 ● Expand and improve on relationships with our media contacts, including establishing exploratory relationships with professional PR agencies. ● Create leads, and follow them up. This is a task we have been doing for months now, but it desperately needs to be professionalised and that takes time. ● Assist/finance the development and deployment of simplified NRS software: i.e. Lite clients and webwallets. ● Create a comprehensive user guide for the entire NXT system, from account creation all the way to customised MS issues. ● Set up an incubator system for both potential and currently running Nxt-based projects. 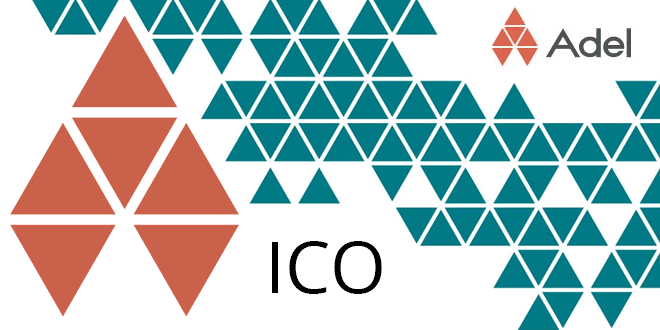 This will have the aim of helping out projects with both direct technical/marketing assistance, and to bring these projects into contact with investors. The incubator will take a small percentage portion of any projects that it helps, and redistribute this income to the NXT community. ● Integrate a professional PR agency into NXT promotion, and finance a campaign from them. Further goals will be added to Tennessee as the project progresses, but this outline is a solid basis on which to build further marketing and PR. More information on the project can be found on the Nxt forum. Click on Monetary System + Currencies section. Find TNSSE / Tennessee (search “TNSSE”). Click on “Reserve” in the “Actions” column. Enter the amount of NXT you want to donate. The NXT amount will be deducted from your account and held until the activation block, which is block 554,000, approximately Monday 26 October 2015, 22:00. In my opinion, this is the missing component in the NXT platform: a strong dedicated team focused on marketing, promotion and pushing adoption. As to where the project name came from? Who knows… maybe they came up with the name over a glass of aged Jack Daniels! 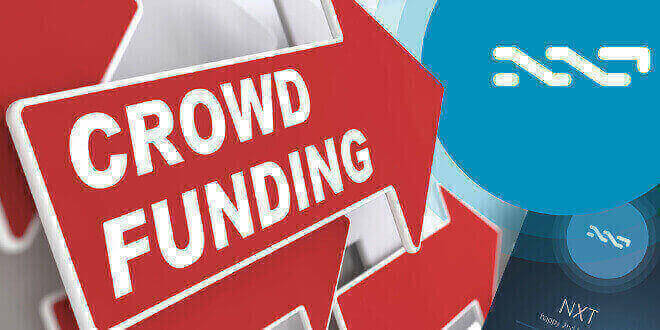 With Nxt Monetary System anyone can run a decentralized crowdfunding campaign. Let’s actively bring Nxt into every university and school all over the world! Crowdfunding usually needs three actors: the project initiator, supporters and a platform connecting both parties. Crowdfunding websites exist only for 6 years. During 2013 $5.1 billion USD was raised by millions of individuals! However the biggest disincentive to using websites such as Kickstarter is their fees. Kickstarter demands 5% of the money raised as a fee, and payment processing fees are another 5%, which in the era of blockchain technology is a little difficult to justify. 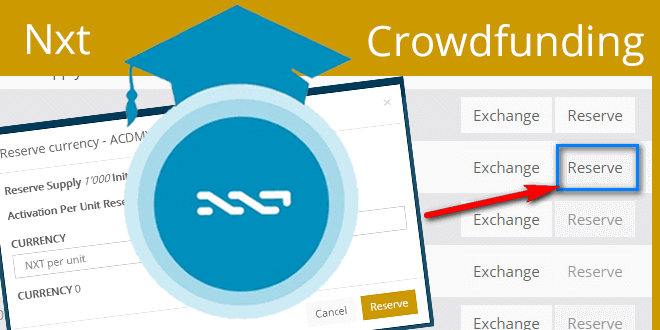 Nxt recently released a new monetary system with a crowdfunding feature, which makes a third party – a platform – fully automatic and decentralized. Since January 2015 it’s finally been possible to organize a crowdfunding campaign via the Nxt client with all costs and fees totalling less than a half USD. The very first example of a completely decentralized Crowd funding via Nxt Monetary System started at the beginning of February 2014, when a Czech Nxter, Petr K. Salsa, issued a currency: NxtAcademy with ACDMY as a code. 500,000 NXT (= 500 units) need to be raised during February in order to successfully finish the crowd funding campaign. If 500 units aren’t bought before block 370,000 (= 1st March 2015), all pledged NXT will be returned. If at least 500 units are bought, the funds raised will be used for maintaining Nxt Academy (= at least 1000 USD/month). More funds = more projects for students, more lectures all over the world, more external teachers, more printed materials. Click at “Reserve” at the “Actions” column. Nxt is an important part of the open source technology. Nxt Academy recognizes Nxt’s spirit and guarantees all content accessible for anyone, anywhere, for free. It is a long term project which focuses on providing free education for the students and children. Every teacher will be able to download and use teaching materials for their students. Everyone will be able to attend free online courses about Nxt from their home. Young people, as yet completely unaware even of the existence of cryptocurrency, will be informed about Nxt via school bulletin boards and via lectures and student projects organized at their school. The world of cryptocurrencies has got a huge enemy – ignorance. Society isn’t yet ready for the wider acceptance of the cryptocurrencies. Nxt will in time revolutionize many industries, but right now it is just a toy for geeks. Nxt Academy is going to prepare society for the Nxt crypto revolution by providing teaching materials and much more. Nxt Academy isn’t a commercial project, its existence, form and size depends on donations from the Nxt community. Nxt Academy isn’t only a passive website with videos and texts. It actively propagates Nxt at schools, universities and student festivals. Nxt Academy will be targeting all bigger Universities and sending its materials to their students. Students will be working on team projects with their classmates, while Nxters will be mentoring them. Teachers will be receiving teaching materials, infographics, textbooks and worksheets for children, they could even teach young kids about Nxt. It will be easy to download all sources and printed materials will be sent to the schools or handed out after the speeches / lectures at the schools and universities. All content created by the Nxt Academy will be actively distributed to the other similar projects – Khan Academy, Coursera, Coin Academy, College Cryptocurrency Network… It’s about spreading the knowledge, Nxt Academy will try to have its courses at all of those sites and many others. Nxt Academy will be targeting people whose lives are as yet untouched by the cryptocurrencies at various online platforms. Nxt Academy provides press releases, news, blog posts, Twitter/Facebook/Weibo posts, forum posts, videos at multiple platforms… SEO, online marketing etc. The database of the research/students papers will be very helpful for all cryptocurrency researchers. This side project will create a library with crypto-related articles saved at multiple platforms. With enough funds, Nxt Academy could provide student scholarships, grants or awards. The dream goal is to have a crypto thesis of the year contest during the Nxt Academy conference. Before entering the Universities’ or Student festivals, Nxt Academy needs to prepare the teaching materials. Online courses – Easy-to-use platform for everyone who will be able to learn about Nxt, its ecosystem, its ideas, its abilities. New fresh videos and edited videos will be followed by chosen articles and infographics. Textbooks – If we want to get cryptocurrencies and Nxt into the mainstream, we need to prepare educational materials for teachers. Textbooks will be created by a cooperation with university professors and school teachers. Worksheets – Children as well should have the chance to learn about the cryptocurrencies. We need to prepare the world for this new revolution. Worksheets, educational programs for children will be prepared by a cooperation with the school teachers. Infographics – Social media campaigns need well-prepared infographics to reach the biggest audience. After two weeks Nxt Academy raised 120,000 NXT. 35 Nxters decided to support the project with their donations. It is also possible to donate directly, you can send NXT to: NXT-W4FQ-JGAE-JHS9-3PMNR (from online wallets, exchanges…). 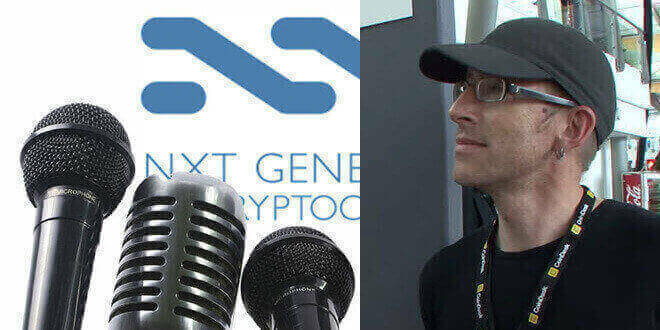 Nxt Academy is a project supervised by Petr Salsa, who has spoken about Nxt at 5 conferences and one University. A few other speeches at Economics Universities are being planned for the near future. Salsa attended all of the online courses about cryptocurrencies, such as “Introduction to Digital Currencies” by University of Nicosia, Coin Academy, Coursera, Princeton University and University of Virginia. He wants to devote his experience, skills and time to build similar courses about Nxt. Crowdfunding has started and will run between June 13th to July 13th 2014 (or shorter). A fully functional, open-source Android NXT wallet for Gingerbread (Android 2.3.3–2.3.7), Ice Cream Sandwich (4.0.3-4.0.4), Jelly Bean (4.1.x, 4.2.x, 4.3.x) and KitKat (4.4.x) on ARMv7 devices with NEON support (see here for an incomplete list of supported devices). Transaction signing done client-side with the Android app connecting to “well-known” public NRS server without sending account secrets over the network. Function wise, Marcus03 imagines a mix between Mycelium (for Bitcoin) and wesleys excellent desktop client. * Adding/creating multiple accounts with the option to store the account secrets in an encrypted password protected wallet on the device. Wallet backup available. * Support for Reed-Solomon address format. * Showing balances for registered accounts in NXT. * Showing transactions for registered accounts. 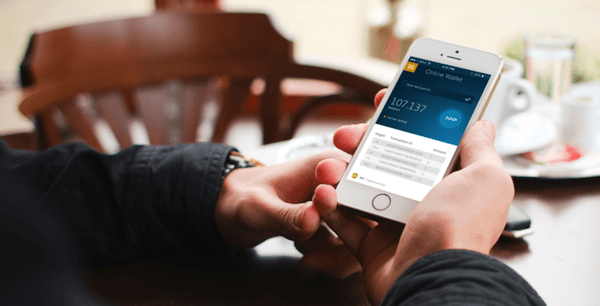 – Showing balances for registered accounts in NXT, BTC, USD and EUR. Also showing exchange rates. I issued the asset “AndroidCli” (Asset Id: 12414770996347165541 Account: NXT-X5EB-VSL5-Z7DU-3GWTJ ) for project fund raising and put up sell orders at 1 NXT. If you want to fund this projects please buy as many assets as you want to fund in NXT. As long as the fund raising is running you can step back from funding by transfering the assets back to the issuer account NXT-X5EB-VSL5-Z7DU-3GWTJ. I will then send the NXT back to the sender account (done at least once a day, but you might want to pm me). The fund raising will run for a maximum of one month (June 13th to July 13th 2014), but I might decide to close it earlier if I feel the project is well funded. If I decide the project is well funded (might happen any time I see fit or after one month latest) I will no longer redeem NXT for assets transfered back to issuer account. If I decide the project is not well funded after one month, I will cancel my sell order and put up a buy order at 1 1XT so that everyone is free to sell the asset against my buy order with minimal loss (2 NXT in transaction fees). I wrote NXT Solaris in a way to be able to use parts of the code for mobile devices and after the recent discussion about the need for an Android client, I want to offer the following project to the NXT community.